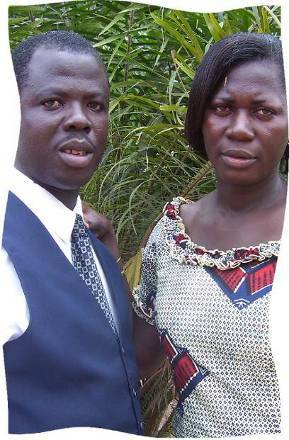 Alfred and Martha Adjaottor thank God for healing from malaria. Thank God for providing lunch for clubbers for the past couple of months. Please pray with brother Noah that the Lord will see him through his ill health. Thank God for his wife, who is now supportive and goes to church. Pray that she will yield her heart to the Lord completely. Thank God for His provisions and protection. Pray that the school’s enrollment improves when school resumes in September. Pray that the top floor of the school block will be in usable condition by September. Pray for DBA’s current financial crisis. Pray for wisdom, more strength, and skill. Pray that Sunday morning worship services at Amanfrom starts before the year ends. Please pray for direction and growth. We also need chairs, workers, gift Bibles, hymnals, and a piece of land to start developing. Please pray for HBC, that the Lord continues to enlighten the hearts of more clubbers and also continues to provide for that ministry. Currently it costs about $200 each month to run the clubs. I am praying for the provision of $30 allowance for two volunteers a month who will take care of the existing centers so I can move on to other places. Posted in Partner Reports on August 7, 2012.